Many people probably wouldn’t be able to answer this question, and the people who have tried to answer it haven’t really come to a consensus. If you ask a Ukrainian this question, they’ll simply say that Rusyns are a sub-group of Ukrainians, and their language is nothing more than a Ukrainian dialect. But don’t call a Rusyn Ukrainian unless you’re looking for a fight. Rusyns consider themselves to be a distinct ethnic group, and they believe that their language is a distinct language, not a Ukrainian dialect. The question of Rusyn identity is fairly complicated, to say the least. 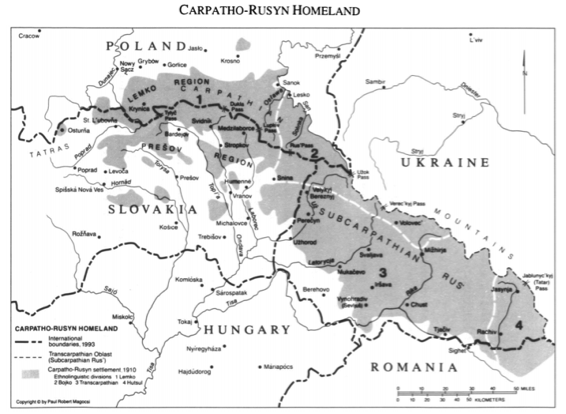 Rusyns, also known as Ruthenians or Carpatho-Rusyns, are a Slavic ethnic group that lives mostly around the Carpathian Mountains. Their language, Rusyn or Ruthene, is an East Slavic language that’s closely related to Ukrainian and Russian and uses the Cyrillic script (although Rusyns in Slovakia use the Latin script). There are about 623,940 Rusyns in the world, 560,000 of which live in Ukraine. Since Rusyns don’t have a country of their own, they’re spread out in Eastern and Central Europe, in countries like Slovakia, Serbia, Hungary, and the Czech Republic. While communist rule had a mostly negative effect on Rusyn culture, the Rusyn people of Yugoslavia enjoyed a small amount of freedom. The Yugoslav government recognized Rusyns as a distinct nationality, and supported Rusyn schools, publications, and radio and television programs. 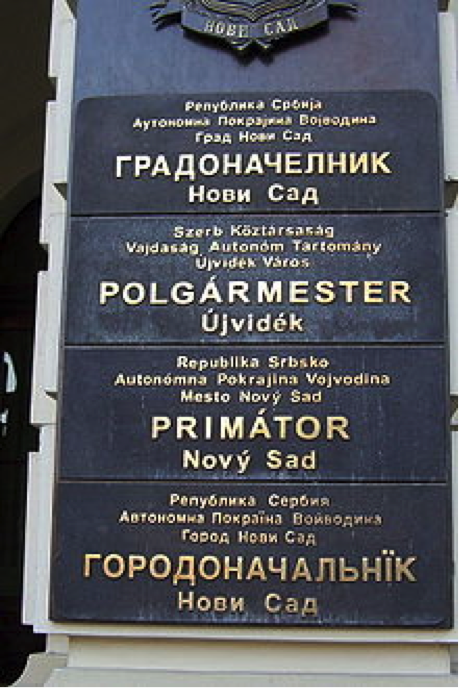 In 1974, the autonomous region of Vojvodina even declared Rusyn an official language. kia, Ukraine, and elsewhere. Since 1990, there has even a professional Rusyn language theatre in Slovakia. In November of 1992, a group of scholars organized a seminar, with the help of Rusyn cultural organizations, launching an effort to standardize literary Rusyn, which had been virtually nonexistent. Rusyns have certainly made a great deal of progress since 1989. Today, they are recognized as a minority in Poland, Slovakia, the Czech Republic, Hungary, and Serbia. 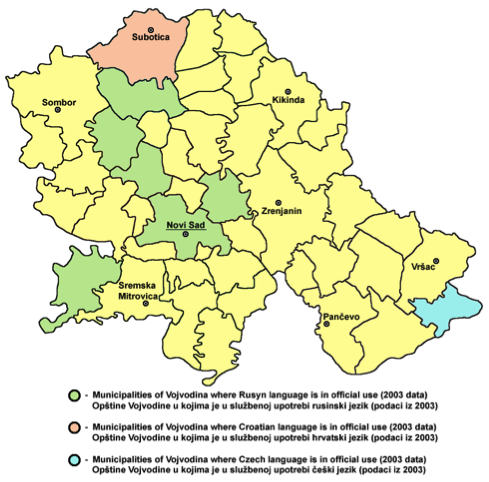 Although Rusyn is only recognized as an official language in Vojvodina, Serbia, efforts to secure language rights are ongoing elsewhere, particularly in Ukraine. Despite having problems in Ukraine, the Rusyn people continue to assert their national self-identity and maintain their culture and language. Perhaps with time and sufficient international pressure, the Ukrainian government will concede to Rusyn demands. Who knows, maybe we might even see a Republic of Rusyn sometime in the future. Lucy Pakhnyuk is a junior in Russian, East European, Eurasian Studies and Political Science at the University of Illinois. Lucy is planning on pursuing a PhD in Political Science after graduation and is interested to/in doing NGO work in the post-Soviet space to promote democratization, development, and human rights. She wrote this text in FR/LING/PS 418, Language and Minorities in Europe. Magocsi, Paul Robert, and Joshua A. Fishman. "Small Languages And Small Language Communities." International Journal Of The Sociology Of Language 1993.104 (1993): 119-125. Communication & Mass Media Complete. Web. 31 Mar. 2014. Magocsi, Paul Robert. "The Birth of a New Nation, or the Return of an Old Problem? 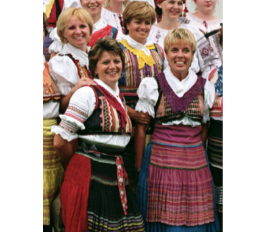 The Rusyns of East Central Europe." JSTOR. N.p., n.d. Web. 19 Apr. 2014. <http://www.jstor.org/stable/40870573 .>. This is a great article. Thanks for taking the time to write it, and best of luck in your academic and professional pursuits.